Investing in Upstream Arts goes beyond supporting opportunities for expression in the arts for individuals with disabilities. Your investment supports a space, a culture, and a belief that the voice and choice of ALL individuals must be heard and valued. This coming year, we will carry out programs with over 20 adult disability service providers and 60 Special Education classrooms; we will share our strategies on teacher practice through professional development; and we will produce original performances with community partners such as Valley Friendship Club. It takes nearly a million dollars to carry out this vital and creative work; we ask for our community to support the groundswell of change. Invest in Upstream Arts and help close our $100,000 funding gap for this year. We count on you, our community, to help us fulfill our mission, and ask you to invest in this vision of a more connected, inclusive world. Enormous thanks for your support! You can always make safe, secure online credit card donations to Upstream Arts via Mightycause (formerly Razoo) or GiveMN. Both of these platforms also let you network with other fans of Upstream Arts, promote Upstream Arts to your friends and family by email or through Facebook, and even set up a fundraising page in support of Upstream Arts! Did you know that you can support Upstream Arts every time you search the internet or shop online? Simply visit Amazon Smile, GoodSearch.com, or iGive.com and designate Upstream Arts as your charity. We’ll receive a donation each time you do a search or make a purchase. Also, if you buy toner or ink for your home or business printers, each purchase can help support Upstream Arts, you can contribute to Upstream Arts without spending any extra money. Simply purchase your toner and ink through Image One’s Toner for Autism Program! Visit TonerForAutism.com and select Upstream Arts at checkout. We will receive 5% of all proceeds from your toner and ink purchases. You can round up the cents on every credit card purchase using the RoundUp App, and donate the change to Upstream Arts! It’s an easy secure way to make change with your change. Sign up here or click here to read more about how it works. Donate your car to Upstream Arts through CARS National Vehicle Donation Program. Donating will allow you to receive a tax deduction, eliminate the hassle of selling your vehicle, as well support Upstream Arts. To learn more about this option, click here or call CARS at 855-500-RIDE (7433). If you work for an organization that has a matching gift program, you can double the size of your donation to Upstream Arts. Many companies match gifts from current employees, as well as gifts from retired employees, spouses, or members of their Board of Directors. Check with your employer’s Human Resources Department to learn about matching gift policies, and feel free to contact Upstream Arts by phone at (612) 331-4584 with any questions. If you would like to learn more about how your donation to Upstream Arts can honor a family member, friend, or other special relationship, please call Upstream Arts at (612) 331-4584. We would be happy to assist you in establishing a memorial or tribute gift. 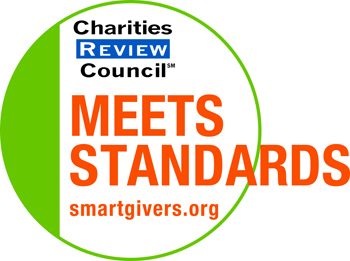 We are honored to have earned the “Meets Standards” seal from the Charities Review Council! To learn more, click here.